I will venture to make the first comment on this interesting post. I read the post, and am currently reading Spurgeon and the Down-Grade Controversy - From John MacArthur's book Ashamed of the Gospel. I read "Down Grade" 1 & II. Fascinating to read about these struggles that are ages old, that span centuries, and the odd thing is these battles are still going on. The arguments are still reverberating with SBC CR which is very recent in the time scale. Having read only 10% of the first article and without any prior knowledge of these debates, I already have some inkling of the reasons for the "down grade". I will attempt to read the whole article and make some more comments tomorrow, if God willing. It is odd to read about these struggles, and you get to know all the characters through the centuries from Philip Doddridge, Charles Darwin and others. Very fascinating. Great way to learn history through these struggles. Wade, this issue is worthy of study from all angles. Thanks for the post. Spurgeon is fascinating. His volume of work was amazing. Just imagine if he would have had the Internet, a Blackberry, and a Twitter account at his disposal. On my goodness! I'm a conservative evangelical and a Calvinist. And proud of it too... Spurgeon was a good one! "I'm a conservative evangelical and a Calvinist. And proud of it too... Spurgeon was a good one!" What do you mean about being proud of what you believe? Is that kind of like being proud to be a Texan? This assertion is complete speculation. Your assumption that Spurgeon never spoke with privately is without merit which your post even proves. If Spurgeon, as you noted that even historians point out, kept private correspondence secret with Booth why would he not keep private other conversations with pastors in the Baptist Union. You have no evidence that proves he did not nor evidence that he did. I would rather err on the side of caution and not level accusations against a great man of faith like Spurgeon because of lack of evidence for or against. So, Pastor Joe, you are incorrect when you write, "Your assumption that Spurgeon never spoke with (them) privately is without merit." Your allegation that my assumption is without merit is without merit. Is not Spurgeon's point that he is not in a place nor authority to give an official response, such as Booth as a representative from the Baptist Union , and does not at all rule out a private response? My point is that we should not accuse Spurgeon of something he should of done when we do not know if he did. It very well may be, a probably is true, that Spurgeon did speak with local pastors about the issue and yet there is not public record of it. You yourself know of many conversations you have with pastors and leaders yet there is not record of such encounters. I believe we should in this sense be gracious to Spurgeon and give the benefit of the doubt to him as a godly man instead of leveling accusations against him which we have no proof exist. After all I do believe that is biblical. "Surely, no sane person thinks that I should have made a tour to deal with the individual errorists." Unless Spurgeon is insane, delusional or deceptive, it is evident, Pastor Joe Taylor, that Spurgeon is pointedly, precisely and specifically saying HE DID NOT see the individual "errorists" privately. I understand your point. I don't think you understand your point is disproven. "give the benefit of the doubt to him as a godly man"
Does one mistake make Spurgeon an ungodly man? I sure hope not. If so, then I am a continuous ungodly man. For I make many mistakes. I thought growth is a matter of learning from our mistakes. Since you continue to make reference to the quote I will try once again to point out what Spurgeon is saying. to deal with the individual errorists. and should have been regarded as offensively intrusive if I had gone to them." Spurgeon was not claiming or refusing to speak privately and there is no proof to say he didn't. Spurgeon's point is that he is no authority to go as representative of any official body nor does he recognize the Baptist Union's authority to force him to do so. I think that Spurgeon is clear in the quote you have provided. I don't think the problem was cigars and beer between Spurgeon and the BU. Frankly, the English Baptists began their support of Carey and foreign missions within the ale houses that they owned. The original minutes and offering totals were on the back of invoices for alcoholic beverages. I don't think Spurgeon was unique in his enjoyment of tobacco and alcohol any more than a modern Baptist is unique in his enjoyment of fifty caliber guns and hunting. "IF I HAD GONE TO THEM." The Queen's English, spoken by Spurgeon with precision, cannot be any clearer. He did not go to them individually and privately. Spurgeon has the last word. Spurgeon didn't think he had any authority over them so it was not his position to go to them. He had no right to go to them privately. If, Pastor Joe's original comment had said, "Spurgeon didn't think he had any authority over them so it was not his position to go to them. He had no right to go to them privately." "Good comment Pastor Joe. Let me think about that one." I've been out of pocket for a few days in Sulpher Springs Texas ministering the Word but without my laptop. I'm home and reading now. Comment sections are sometimes more interesting than the original post! The fact that Surgeon didn't go to them privately. Spurgeon's reasoning for not going appears to be "jurisdiction." My position would be that Jesus's instructions for private confrontation doesn't include jurisdiction. It is a brotherly relationship in Christ and the fact that they were in relationship in the Baptist Union. I still think Spurgeon made a mistake even in his reason for not going. The post brings out a great thought that could probably solve a number of problems and opinions of others. I know in my own case I have been guilty of hearing someone I respect say someone is a liberal and then I form an opinion of them without going to them personally and privately to confirm one way or the other. I've made the same mistake as Spurgeon. You are right Wade, Spurgeon does have the last word. "Let no man dream that a sudden crotchet has entered our head, and that we have written in hot haste: we have waited long, perhaps too long, and have been slow to speak. Neither let any one suppose that we build up our statements upon a few isolated facts, and bring to the front certain regrettable incidents which might as well have been forgotten. He who knows all things can alone reveal the wretched facts which have come under our notice. Their memory will, we trust, die and be buried with the man who has borne their burden, and held his peace because he had no wish to create disunion. Resolved to respect the claims both of truth and love, we have pursued an anxious pathway. To protest when nothing could come of it but anger, has seemed senseless; to assail evil and crush a vast amount of good in the process, has appeared to be injurious. If all knew all, our reticence would be wondered at and we are not sure that it would be approved. Whether approved or not, we have had no motive but the general progress of the cause of truth, and the glory of God." "A friendly critic advised us at the first to mention the names of those who had quitted the old faith; but, if we had done so, he would have been among the first to lament the introduction of personalities. At the same time, there can be no objection to a gentleman's coming forward, and glorying in his "modern thought": it spares others the trouble of judging his position, and it is an exhibition of manliness which others might copy to advantage. Those who have read the statements of the advanced school, and still think that from the orthodox point of view there is no cause for alarm, must surely be of a very sanguine temperament, or resolutely blind." Spurgeon's mistake was swearing his secrecy to Booth. This effectively silenced the great pastor except in generalities. However, history proved Spurgeon right! The Baptist Union had gone down the path of liberalism. Never doubt that the Prince of Preachers did the only thing he could- and it was right! With all do respect Wade, you indeed have not proved anything accept that the downgrade controversy is a weighty matter in Baptist history. The small quote from a biographer about something Spurgeon said does not prove he did not meet privately with anyone. Are you not the one who often references the saying "A subtext without a context is a pretext." The downgrade controversy is much larger than a brief quote from one biographer or a blog entry about it. There are volumes of books written about Spurgeon and this issue. It is much bigger than this thread takes into consideration. This is not a personal affront on you because I know you often get those personal attacks which are unbiblical and unwarrented for any reason. It is just my sincere question of how you are interpreting some quotes and biographers about the life of Spurgeon on the downgrade controversy. The downgrade issue was one of wide "public" debate. Spurgeon did not shy away from nor fail to answer any questions on what he believed to the be problem nor those involved. If you read his "public" articles in the Sword and the Trowel and the local papers you see he was not vague about the problem or the offenders. He often points the Episcopal church and the church of England as a whole. His public statements do not suggest though that there were no private debates. It is very likely that he did talk privately with others on the issue as his public discourses reference many private letters to him and from him which we do not have today nor were they ever published. Yet this does not mean no private conversations happened. I believe if one reads Spurgeon's correspondence on this issue it is hard to say that Spurgeon just sat at home or in his office mum on the issue instead of a courageous dialogue with others which history records he did do. "My position would be that Jesus's instructions for private confrontation doesn't include jurisdiction. It is a brotherly relationship in Christ and the fact that they were in relationship in the Baptist Union." I like that. It puzzles me why Spurgeon would write that he should be considered "offensively instrusive" if the challenge he offered to the other pastors was in regard to a distortion of the Gospel. Could it be that the politeness dictated by societal norms precluded one pastor from confronting another man to man? I don't know. I find it interesting that Spurgeon would write (and by inference, think) that he doesn't have enough standing as a fellow minister of the Gospel to question another minister in another Baptist church, but he does believe that the officers of the Baptist Union hold standing for such confrontation. Or does he believe that? This one passage would indicate that he does. Wade, LOL for English ale cf. machine guns! I enjoyed the post re Spurgeon. It is becoming more and more clear to me why so many solid Christians spurn church in favor of homechurch, house churches, or just going to SS or small group Bible study. The more leaders argue about who has authority, who can decide who believes what, etc, the more folks stop and think "Wait a minute--I have a brain, I have a Bible, and the ONLY one in spiritual authority over me is the Triune God. Jesus is my high priest and I am part of a kingdom of priests. Ya'll take your fighting over territory and privilege elsewhere--I'm not interested." Sad to think that while Satan cannot overcome the church, we can lay down our arms and choose defeat. I admit I have only read a few things about the downgrade controversy but if I remember correctly, his brother (Was his name James?) was involved and it was a great division between them? Is that correct? With that said, I am confused as to why Spurgeon needed to go to each one privately. If they were public preachers teaching what Spurgeon knew was incorrect or their behavior unseemly then he had a duty to publicly correct it. This was not a matter of personal offense ala Matt 18. Can somebody tell me what I am missing in all this? Jeff, did you really say that Spurgeon made no mistakes? Or was that a typo? Spurgeon did not make the mistake that Wade has pointed out. :) At least that's my opinion. Did Spurgeon make mistakes? Was he a man? I'm not sure any hard and fast rule can be constructed of Matthew 18 but I would think it certainly lays down a principle that if what a brother [or sister] has said or done is so offensive to me personally, be it personal action or theological point presented, that it causes a tear in my relationship with them, I owe them the private confrontation with hope of change before I broadcast my objection or separate from them. I'm of the opinion that if this had been followed in the early days of the SBC controversy between a few men I know personally, and I know it wasn't followed, much pain and heartache might have been prevented. It seems to me that the value of each relationship we have would be maintained to a higher degree if we took the passage a little more seriously then we do at present. I realize the "take it to the church" part MAY only be referring to any called out group we might ask to arbitrate [which is the literal meaning of the word] but, as I said, relationships ARE more important than we may think especially if they are the "treasure in heaven" Jesus said we're to lay up for ourselves, which I'm thinking may be a reality. I am thinking about Paul not going to Peter privately before he rebuked him about eating only with the Jews. That was not practiced as a Matt 18 process. I am just concerned that when we start saying that public teaching cannot be corrected in public but only in private first, we are adding something that is not there. And more and more people will be afraid to speak out because they will think it is sin to defend truth if it hurts someone else's reputation or something. If I remember correctly, one issue was Baptismal regeneration? Wouldn't that be something to correct in public by scripture? You may be correct about Paul not going to Peter privately. I don't know that he didn't for sure. but I don't get any sense that Paul was going to tear apart relationally from Peter over that issue. I do know that when Paul and Barnabas had a tear in their relationship over John Mark's second chance it would have been good if Paul HAD worked at healing the relationship a bit. There is no doubt that God used Paul and Silas and the two journeys that wouldn't have happened without the division but that doesn't remove responsibility for relationships. Paul SEEMED to have had a repentent heart later when he requested Mark to come and bring some things so maybe they worked through it. Some of these things I guess we'll have to ask them one day when we see them and get acquainted. But I do think we need to take seriously healing relationships and Matthew 18 is a good tool for that. I do understand where you are coming from and don't necessarily disagree. I know from personal experience with the Baptismal regeneration issue that folks who wanted to meet with the pastor (of a mega church) were not allowed a meeting because he was decided upon that interpretation. We put a lot upon people when we insist they have to meet first before they say anything publicly about public teaching. Many times the circumstances are not what sounds so simple in hindsight. How far does this go? If I disagree with something written in a book or on a website by a pastor, must I contact him first before I publicly write my disagreement? There are classes of Christians these days and some who would return a phone call or e-mail from another well known pastor may not respond to me. I know, it has happened several times. I appreciate the conversation and your gracious responses. I don't have a dead on directon myself. I do know the tearing of a relationship is anathama to me when there has been no private attempts at healing. I also believe that when a personal relationship is not involved, but I disagree with a theological point or action of someone and I believe it is an important point, I am to speak my mind on the truth as I see it, but that in love and civility. There is never a good reason for rudeness or disrepect. Your good example of Paul and Peter should remind us all that despite the heat of such theological battles—Paul withstanding Peter to the face—there remained a great respect between them. Paul and Peter mutually commend each other to the church despite their differences (2 Peter 3:15, 16). And remember Peter was an Apostle first but didn't let that get in his way of acknowledging Paul's rightful place as one. As well,their case was distinct from others in that it was not a question of liberty, and of bearing with others' weaknesses or failures, but one affecting the essence of the Gospel, whether the Gentiles are to be virtually "compelled to live as Jews, "in order to be justified." (Ga 2:14). All in all, there is no definitive word for correcting people but all things are to be done in truth and love. Sometimes it's better to do it privately...to save a relationship, and sometimes publically...to present what one believes to be the truth on a matter. But never at the expense of real grace. We'll all answer one day for our motives in it all I guess. As one who loves reading Spurgeon, I still find him, like me, with feet of clay. Some of your readers need to take some advice from your Dad. Paul, I think it is a great blessing that both you and your son are willing to engage here with differences in opinions and interpretations. Perhaps part of the problem in these situations is the lack of humble relatinships in the Body? I am interested to know what you think on the matter of public correction of public error. Seems you have done that yourself in the past, and that there is a time and place for it as well as for private discussion. Why was it not ok for Spurgeon to publicly address erroneous public teaching? I finished reading Spurgeon and the Down-Grade Controversy - From John MacArthur's book Ashamed of the Gospel. I am amazed at the similarities of then and now. I am just wondering how this would work. Does some debate take place that is recorded in print? 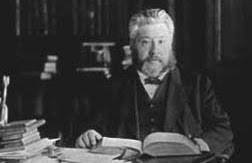 How can Spurgeon prove that a person's views are heretical? I understand by talking to the person, one can ascertain if the accusations are valid and a defense can be put forth to show if their views are heretical or not. Since the discussions are one on one, there is only the pressure of each other and the force of their arguments to convince each other of their points of view. But should Spurgeon have done this on a select few and published the conversations? How would this work if during SBC CR, they did this? That is they individually one on one met with each of the "heretics" before labeling them as heretics and kicking them out of SBC. I will reflect more on this. No problem with public correction. No problem with identifying heresy in Baptist Union pulpits. The problem is Spurgeon privately discussed his concerns about individual pastors, without ever talking to those individual pastors of whom he was labeling unorthodox. Spurgeon, according to several biographers, exhanged names and doctrinal concerns with the Baptist Union executive secretary (though the exec denies this), and when Spurgeon was asked to publicly identify the heretics in the Baptist Union he refused--saying that the Baptist Union leaders knew he they were (because he identified them privately) and Spurgeon wanted the BU to discipline and disfellowship from these pastors. So, Spurgeon, withdrew fellowship himself. By the way, Friday I will show one of Spurgeon's major concerns. It involves Spurgeon's allegation that many Baptist Union ministers regularly attended the London theater--and enjoyed it. The major play in London the year of 1887 was Dicken's "Great Expectations" -- were it to be shown in the theater in 2009 it would be considered a Hallmark Family Movie. I and other people were sent an email saying, “Rex’s big issue is that of where authority is held within the church. Decision making and control are in the hands of the people. They need to “hold the authority” in the local church through democracy. This protects them from prideful power hungry leaders.”… “In Rex’s theology, God does not speak to the body through leaders. He speaks to ALL believers through the guidance and direction of the HS within the body. Authority and servant leadership are incompatible ideas. A leader’s job is to preach (not teach) the gospel. A leader’s job is serve/lead the body without having authority over the body. A leader should “influence and suggest” but not “declare and direct”. Linda, what would your reaction be if you were me? My reaction was to ignore the email for ten months until now. Your words..."The problem is Spurgeon privately discussed his concerns about individual pastors, without ever talking to those individual pastors of whom he was labeling unorthodox."... nail the problem in my opinion. Because the ability to fellowship together [relationships] was involved, it WAS, as you say in your title of the post, a 'Tragic mistake." I agree with Thy Peace and Yogi Berra, "de javu all over again." This is why I agree with your post as I've indicated in earlier comments and why I believe we ought to learn from this great preacher a lesson from his errors as well as his triumphs. I have been wrestling with how to respond. Of course, the CR has been brought up in relation to this post. If Dr. Bruce Prescott's "The Priority of Scripture" , for example, accurately represents what some/many professors believed about the Bible, then I believe they either needed to be lovingly persuaded away from that position or needed to leave. Thus I do not believe that thousands of Baptists would need to personally meet with all of these professors to talk with them privately. There are public documents that people can read "for themselves" and not have to get second/third hand information. In other words, people can read documents "from the horse's mouth". The only possible breakdown in what I am saying, that I can see, would be if someone like Prescott did not accurately represent the professors. I am very aware of the "charge" against CR advocates that they were motivated by power. However, I support the Bible advocacy of the CR and I think it is basically *impossible* for me to gain political power because I do not agree with all of the BF&M 2000. Therefore, the charge of wanting power does not work with me. And even if I granted the "they wanted power", for arguments sake, I would still be in favor of the Bible advocacy of the CR. Better to have bad hearts with the right authority than good hearts with the wrong authority. Are you saying you would rather have mean jerks with right doctrine than nice guys with bad doctrine? Jesus Christ taught this in relation to the Pharisees. "Are you saying you would rather have mean jerks with right doctrine than nice guys with bad doctrine?" Students who go to seminary need to be taught a high view of Scripture and right doctrine. If the professors' attitudes are horrible, then they need to guard their hearts against adopting their attitude but accepting the right doctrine. And I think it is pretty much impossible to NOT indoctrinate [whether you are a moderate/liberal. conservative/fundamentalist/__________]. Therefore, I don't think the question should be "are we to indoctrinate or not? ", but "what doctrine do we want taught?". Students are not going to be at seminary forever. They need to be given the tools and the basic knowledge to be able to work hard in preparing to feed God's new covenant people. If professors are arrogant, then they will have to answer to Christ for their attitude. If anything is to be "questioned", it is to be what I say...you say...professors say, not what the Scriptures say. If we are going to question, then let us question in the right direction. It was about power or they would not have called it a takeover. Where is all the evidence that these professors were liberal? It was not even about inerrancy, that was just a smoke screen. The CR destroyed what was once a great denomination. It is only a ghost of what it once was and I can point to 1979. THE PRIORITY OF SCRIPTURE by Dr. Bruce Prescott. The question *has* to be, the question has *always* been, what do the scriptures say. You say we shouldn't point our questions at the scriptures, but that is ridiculous. You write of seminary students, "They need to be given the tools and the basic knowledge to be able to work hard in preparing to feed God's new covenant people." Given the tools, yes. Given the basic knowledge, yes. But if those are the two goals of a seminary education, then the ministry of those graduates will be short-lived and absolutely powerless. Pat answers don't sustain a ministry or a congregation. Being told, "this is the right doctrine," does not sustain a ministry or congregation. What you have to be taught is how to ask questions of the scriptures. How to ask questions of the traditions which pastors, professors, and textbooks pass on as scriptural interpretation. I am constantly amazed by Conservatives who don't want to see Scripture questioned. So many forget that questioning Scripture was the very thing that led to the Protestant Reformation! Yes, there are bad questions. They can be misguided either by presumption or by the method of answering. But if a seminary education does not prepare you to think creatively in light of the Bible and your situation, then all you have gained is the ability to pastor one church: the type of church your seminary has it the back of its mind. If that church is rural, you will be hard-pressed to survive in an urban setting. If that church is small, a larger congregation will destroy you or you it. If that church is white, a multi-racial or other-racial churches will confuse you. Seminary students don't need taught "these are the answers." They need taught, "this is how you go about asking good questions, and here is how you go about answering those questions." And that is why I couldn't go to a SBC seminary. Always question everything. Just don't settle for bad answers. The Official Google Docs Blog > View online files using the Google Docs Viewer. View pdf, powerpoint and tiff files in the browser. Should not become the Standard English Version. "Students who go to seminary need to be taught a high view of Scripture and right doctrine. If the professors' attitudes are horrible, then they need to guard their hearts against adopting their attitude but accepting the right doctrine." I am disappointed it seems it must to be one or the other. I do not think ESS is a high view of scripture at all but many are teaching it our seminaries. I do not think the zeal in which we see taught the authority over others in the body is a correct interpretation of scripture, either. Nor as a high view of scripture. In any event, shouldn't humble, loving service to others be the fruit of correct doctrine and a high view of scripture living it out? If not, what is the point? Aren't the greatest in the kingdom the lowliest servants? If we are not seeing that as a result of what our seminaries are teaching then how could it be correct doctrine? As to Matthew 23, the "pastor" of today does not sit in the Moses seat teaching the law. Do you map the Pharisees to the gift of pastor in the New Covenant? Tom, Can you offer proof? Or Do you like to blow smoke? Igave up smoking in August of 1976. You study the History of the SBC and go back to 1979 and travel forward to today and I believe you will draw the same conclusion that I have. The CR was not necessary. BTW I sense that attitude of how dare I question the great and wonderful CR. But I want to be sure and answer your question. When I smoked I really enjoyed it. There was nothing like a cigarette after a good meal. And when I smoked it was not wise to swallow it and it was best to blow the smoke out; I guess you could call that blowing smoke. But please do not concern yourself with my blowing smoke because those days have been over for 33 years, just 3 years before the CR takeover began. Some may not understand how they relate to this post because I have gone back and deleted the offending comment and all those related to it. After 24 hours of consideration, I have chosen to forgive and forget without a request for either. I figure if God saved me before I ever requested His deliverance, then I can forgive someone before they ever request it. I am not talking about asking questions concerning the "meaning" of Scripture. I am talking about questioning the Scripture itself. Unless I am missing something, moderates wanted the freedom to have "Dalmation Bibles" [i.e., the freedom to claim that spot and that spot is wrong in Scripture]. I, on the other hand, do not want to grant them that freedom. Any Jesus who allows that freedom needs to be kicked over. It's only been carved out by man anyway. P.S. My father went to "Southeastern" before/during/after the change. I went to a "moderate" university. I even went to a "moderate" Divinity School for a while. I married one of the daughters of someone who graduated from a "moderate" Divinity school. My best friend in college was a "Soren Kierkegaard" guy. Thus, I have some experience. I did not just come on the scene yesterday. I do not understand just repeating the same old, same old argument and not even engaging what I said. It was about the Bible! To be blunt, Rev. Spurgeon's disfellowshipping from the Union smacks more of a child, who didn't get his own way, taking his ball and going home, than it does of someone interested in the welfare of the Union, which was presumably why the Rev. brought it up in the first place. I've done worse, so I'm not lobbing projectiles, but I figured someone needed to point that out (if they haven't already, and I'm too old to read ALL the comment stream....). I didn't have the nerve to use the word 'tantrum', but I thought it. But even there, in not questioning the scriptures, you forsake your Protestant heritage. Or do you still use the Apocrapha as authoritative scripture? Calvin said, "this isn't scripture." Luther said, "this isn't scripture." I'm not saying that what we consider our canon right now isn't scripture, but to take that question off the table is to do a disservice to our heritage. The heritage we fight so hard to "conserve." "In any event, shouldn't humble, loving service to others be the fruit of correct doctrine and a high view of scripture living it out?" Yes. What you are saying here probably concerns me the most. I am afraid that a negative consequence of the CR is that it has conditioned pastors to not be patient and loving with members of the local church who disagree with them. "Aren't the greatest in the kingdom the lowliest servants? If we are not seeing that as a result of what our seminaries are teaching then how could it be correct doctrine?" Again, I am concerned. What I am hoping is that the high view of Scripture and the tools they have been taught to discover the truths of God's word will shape students/graduates. "As to Matthew 23, the 'pastor' of today does not sit in the Moses seat teaching the law. Do you map the Pharisees to the gift of pastor in the New Covenant?" That's funny Lydia:). I just draw a principle from what Christ said. Nothing complicated. Christ said to accept the right doctrine from teachers with bad hearts. So, if a teacher has a bad heart and good doctrine in a seminary, then I take what Christ said as a guide in how students need to respond to that teacher. Right quick. I need to go outside with my daughter. I don't think what you are talking about is "questioning Scripture". I think it is asking the question "What is scripture and what is not?". Whatever is Scripture should not be questioned. That is irreverent. That is sin. Maybe I am misunderstanding you, so please correct me if I am. But you say, "Whatever is Scripture should not be questioned. That is irreverent. That is sin." But aren't we questioning Scripture every time we ask, "What does this mean?" Perhaps there is a difference in that and what you and Chris were discussing--but for the life of me (a "southernism"), any difference seems quantative rather than qualitative. You know, I have hard a lot of people in the pews say, "You can't question God. That is irreverent. That is sin." And yet, that is exactly what Job did, and if I tried, I think I could make a pretty good case for David and several of the prophets questioning Him--maybe Stephen too, and I would want to take a good hard look at some of the things Paul wrote. But even if it is only Job: God is a big enough God that He was not threatened by Job's questions. Is there an analogy in this to "questioning Scripture"? I'm not sure; I tend to think there is, but at any rate, it is worth exploring. The reason my argument is old is because the CR started 30 years ago and I would have said the same thing for the last 30 years and for the next 30 years. It was a complete takeover of the SBC. How is that not about power? Who were all of these Liberals? Even those left in the SBC are in different camps today because some think they are more righter than others. My prediction--it will never stop. BTW I am not sure what you wanted me to engage you with. I still do not see any evidence that shows Spurgeon did not meet privately with those he disagreed with. As a matter of fact research and other writtings show Spurgeon did not refuse to meet but refused to give out names. Here is a quote from Mark Hopkins in issue 29 of Christian History about Spurgeon and the down grade controversy. "The Council of the Baptist Union met in December to deliberate on the crisis. Spurgeon’s hard-line opponents, incensed by the damage Spurgeon had done to the Union’s standing, poured cold water on Spurgeon’s claims to have done all he could to combat the evils he was lamenting before resigning. They hoped their next goal—to get Spurgeon to withdraw his charges or furnish evidence against named individuals—could be achieved in a meeting with a delegation from the Union. These uncompromising opponents formed an unlikely alliance with a well-intentioned but unrealistic group that thought all might be settled if only the two sides would talk. Together the two groups passed a resolution appointing a delegation to confer with Spurgeon on 'How the unity of our Denomination in truth, love, and good works may best be maintained.' ***For his part, Spurgeon was determined not to name anyone—he was well aware of the backlash he would face if he created martyrs. *** He carefully negotiated the meeting’s terms to rule out any discussion of his previous actions. The meeting would simply discuss what the Union might do to put its house in order. Spurgeon was stunned, then, when his charges and resignation were brought up at the meeting (held on January 13, 1888). Following this coup de main, the Council passed a resolution known as the 'vote of censure,' which said that since Spurgeon declined to give names and supporting evidence, the Council considered that his charges ought not to have been made. Spurgeon felt bitterly betrayed. Again I think it is unfair to the legacy of Spurgeon to say he did not try or refused to try. Spurgeon was by no means perfect and just as much a sinner as we are, but on this issue I believe he was in the right in fighting against the creepin liberalism of the church of England into baptist and other congregationalist churches in England. I would be very interested in your response to a post that goes up on Friday. It is, again, about Spurgeon and the issue he singled out as the sin of worldliness of some of his fellow ministers. I do appreciate your comments and research. I think there is a big difference between questioning [or wrestling with] what the Scripture means and questioning Scripture. For example, someone might come to Revelation 20 and question what the millennium means--is it literal or symbolic? However, there is a difference between that and coming to the text and questioning whether or not the "Bible itself" is true at that "spot". Let's even take you for example. Don't you think there is a difference between questioning what the word of John Fariss means verses questioning the word of John Fariss itself? One type of questioning seeks to understand you correctly. The other type of questioning is questioning whether you have told the truth or not. When it comes to believing what God says, I think the Bible is clear concerning the consequences of either believing or not believing God's word [John 3:33-34, 1 John 1:10]. Yes, God is big enough to handle anything one throw's at Him. He's big enough to take care of the sin problem. Big enough to discipline. Big enough to help. Big enough to condemn. Obviously one needs to grow in one's faith. A person's faith might be weak. Might be strong. Praise the Lord that person has faith at all. And even the one who claims "inerrancy" might find out that one's faith is not as strong as one thought when it is put to the test. I look forward to your take and hope and trust that you will show a comparison of excess that society recognizes today that assalts the believers attention from the scripture and fidelity to the church as Sprugeon did with the Theatre and excess in his day. My question would be why do we not ask Christians today to avoid the excess of entertainment in our lives and that why do we notfollow Spurgeon's courage and boldness to call our congregants off the couch and away from recreation on the Lord's day and to challenge them in love as Spurgeon did his flock. Thank you for the oppourtunity to post on your comment stream today. You are trying to draw a distinction that doesn't exist. I'll agree with you that there is a difference between questioning what a scripture says (interpretation) and what is scripture (canonicity). But how is it different for a "Liberal" or "Moderate" to say, "Based on the best evidence I can gather, I don't think that [insert verses] were a part of this original document, so I do not believe [insert same verses] should be considered canon," (note that this does not challenge innerency, only transmission) and Luther or Calvin saying, "Based on the best evidence I can gather, I don't think that I and II Maccabees should be a part of the canon." Both are questions of canon. If anything, Calvin and Luther are far more pretentious because they are throwing out whole books! Yet we accept their conclusions barely stopping to ask for their reasons. But we are very quick to dismiss those who question the contents of our current canon (just like the Anti-Reformation). Both have asked one question: what is canon? But if you insist on your distinction, how does one even possibly know what is scripture and therefore unquestionable before questioning what is scripture? And by asking the latter question, if they find that they have indeed been questioning scripture, have they not been sinful and irreverent? So do we have to sin first so that we can not sin in the future? And if so, what sort of twisted god does that? Benji, I am not at the level of most of the commentators in this comment stream ... But don't we do the above when questioning the interpretation of the passages in the Bible and especially in translation issues related to the passages? At least lot of the complementarian/egalitarian issues seem to be translation issues and possibly interpretation issues. You said--"However, there is a difference between that and coming to the text and questioning whether or not the "Bible itself" is true at that "spot"." Who is doing this sort of thing? Are you speaking about some in the SBC or do you mean elsewhere? I think you are making this more complex than it is. I'm not talking about the fineries of textual criticism. I'm not talking about folks having disagreements concerning whether or not the story of the woman caught in adultery was in the original gospel of John [for example--and folks check your study Bibles if you don't know what I am talking about]. I'm being pretty basic. I am talking about taking the Old and New Testament and claiming that there are errors--not from bad copies--, but in what is actually called *the Bible*. You said "Based on the best evidence I can gather, I don't think that [insert verses] were a part of this original document, so I do not believe [insert same verses] should be considered canon,"
That is not the kind of thing I am talking about. I am well aware that we do not have the originals. I am well aware that someone might say "well, how can anyone know whether the originals were perfect when we don't have them?" I am also aware of what 2 Timothy 3:16 says. If someone gives this little "indifference" line like "well, when we get to heaven we can ask if the originals were perfect, if God even cares", then I take that as a tipping of their hand. And that is a hand I don't want my money to end up in. I understand that there are textual details, but I am not appealing to peripheral matters but to the big picture. Either someone believes the originals were perfect by faith [2 Timothy 3:16] or they do not. And either someone believes God, in His providence, has preserved the Scriptures [even though there are textual issues scholars wrestle with] or they do not. Folks don't need to take the name of Jesus and fill it with their own content. Claiming to have faith in Jesus who is perfect and is a better object of faith than the Bible. It's the Bible itself that provides the objective content for who Jesus is, what His work is, and what He taught [via the apostles]. THAT is the content to believe in and if one believes THAT [and not mystical Jesus] then one has faith in God. One has faith in Jesus. There is a difference between translation/interpretation issues and claiming that *spot* in the Bible is not true. For example, you might find Walter Kaiser [an egalitarian if I'm not mistaken] and Tom Schreiner [a complementarian] disagreeing on the meaning of some passage of scripture concerning gender. But you will NOT find them claiming that the Scripture is in error. Now, they might talk about manuscript issues--trying to discern what is the original Greek word because there are two different words in different manuscripts [or whatever]--but they will not claim that the actual Bible/original manuscripts/revelation/God's word/whatever you want to call it is/was in error. "Who is doing this sort of thing? Are you speaking about some in the SBC or do you mean elsewhere?" Please go read the Prescott paper and tell me what you think he is saying. He seems to have a pretty "dogmatic" position concerning inerrancy. "Somebody needs to seriously sound the alarm about what the first word in the Greek in Hebrews 13:17 is. It is NOT obey. I think "obey" is having H O R R I B L E consequences. [Dr. Moo, please fix this in the upcoming NIV translation.]" I totally agree with this. It really is a horrible translation that contradicts so many other passages. But I fear your hopes expressed in the first part of the comment are resulting in exactly the opposite outcome. And for the past 20 years. We are churning out little popes. And our view of women in the SBC is becoming dangerously close to Lifeway stocking burquas. You are appealing to the big picture, I understand that. But my concern is that in *this* area, we have been so quick to preach the big picture that it has led to an infantile understanding of scripture by the vast majority of people. I don't mean the, "faith of a child," sort of infantile. I mean the, "throw a tantrum when people don't agree with me," sort of infantile and the "willfully ignorant" sort of infantile. From the pulpit, we have refused to deal with the complexities of texual criticism for fear of being accused of believing scripture is in error. And this has led to congregations largely ignorant of the fact that the Bible translation they hold in their hands is man's best attempt at what the inerrant words of God were and are. I hear the word inerrant used so poorly so often that I am almost afraid anymore to use it myself, lest people assume I support insupportable conclusions. By refusing to engage in the complexities, we have created a great fear of the complexities among the average church-goers. You have to allay that fear in your post, by directing people to the footnotes of their study Bibles. I find that incredibly sad, that we have conditioned people not to ask of their English bibles what is Bible. That culture of fear is the result of the CR. You cannot honestly deny that. And with all the verses that proclaim we have nothing to fear, I have to wonder whether or not the CR was as much about Bible as they say. Abuses of power I have every reason to concern myself over. I should never have to fear reading the Bible. Did Paul tell the exact truth when he preached a short sermon to King Agrippa? We might say: Hey Paul! What you told the King was true, but most of it didn’t happen in the heavenly vision as revealed in Acts 9:3-5 and other Scriptures. Benji, so is the Bible true at that spot? Notice the BFM does NOT say the Bible is totally true, but that Scripture is totally true. “…without any mixture of error for its matter” is NOT talking about Scripture, but about the BIBLE. I am not sure I understand what you are getting at when you talk about the result of the CR being a culture of fear. I think sometimes folks like us who have received at least some degree of theological education need to take a step back and look at the lives of "regular" folks in SB churches. Some of these people might have some difficulty reading English. Do you really want to stack on 75 extra pounds when bench pressing 125 pounds is hard enough for them? I honestly think your appeal to that kind of "expert" knowledge is not what they need. I think they need the big picture most of all. There are people who have to work 9 to 5 jobs, of course. They don't have the kind of time to learn the "fineries" of Greek. There are people who, when they come home, need to take care of a family member, etc. Anyway, I hope you might consider some of these things. Sorry, but you're still wrong about this. The Bible is the Scripture is the Word of God is the Bible. It's all true, and "without any mixture of error" is just a fancy, wordy way of emphatically saying "without error". I really wish you could see the truth. I think we've been down this road before. In short, my belief is that if one is having a difficult time reconciling Scripture, then one should humbly acknowledge that it is because of one's lack of knowledge/insight. Just because something "seems" contradictory does not mean that it is. To cross that line and declare what seems contradictory to actually by contradictory is to play "judge" over God's revelation. Even before I had received any degree of theological education (beyond regular church attendance), I was surrounded by a church culture that feared posing questions of the Bible. That was a result of the hyper-conservatism the CR brought on. To ask questions *was* to question the innerency of the Bible. It didn't matter what the question was. Many times I had questions over matters of interpretation. I had to study by myself. Only in the context of private conversations with much trusted individuals did I dare reveal many of the issues which most plagued my mind and soul. Education made me realize how wrong that fear was, and seek to challenge it. And I'll agree with you that most often, people are looking for the bottom line. But I am a firm believer that the bottom line is rarely faithful to scripture. Too often there are nuances. Too often there are cultural conditions which inform the so-called "literal reading." Too often there are complexities. Too often our situations seem to make the Bible a lie. If we fail to admit the complexity of the Bible, how can we expect people to use the Bible to navigate the complexities of their life? If the Bible is only a source of pat answers, why do we expect people to flee to the Bible when their own lives are anything but simple? And for those who do, it is often a form of escapism: getting away from real life to a time and place where everything is black and white and uncomplicated. But that isn't a faithful reading of a single text in the Bible. People who are struggling through life don't need told that life and faith are simple. They need told that life and faith are just as complex as they have always believed them to be. But they need to be challenged to engage that complexity. Both of life and scripture. Even more, to engage both together. Therein they will really begin to see why the Bible matters for life. Let me add: I agree that "expert" opinions are not always wise. But when was the last time you honestly heard (or said) from the pulpit, "Here, the Bible doesn't make sense to me. I just don't know for certain what it says and what it is trying to say to me. But let me tell you the best I can understand, and let's wrestle through this text together." Perhaps a little more honest doubt, as opposed to the smiley optimism that is so rarely the circumstance of those who most need to hear from God, is what is in order. There. After three tries I finally managed to type it all correctly. I think. Anyways, third time is the charm. Thanks Tom and Benji for replying, but neither had the “knowledge/insight” of explaining WHY Paul did NOT tell something FALSE in the Bible. Do you thing the Original manuscript told Paul’s sermon to King Agrippa in a way that made everything true? Benji may I use your words the way I believe? God’s revelation tells that Paul told a white lie, and you are the one playing “judge” over God’s Word in telling God that He has to record His Word in the Bible the way man believes. As God can use ‘crooked sticks’ to hit straight licks, He has no trouble doing the same with the Bible. Maybe God wants man to worship his ‘message’ and NOT the ‘messenger. I know what I’ve said is ‘water off a duck’s back’ because NOTHING can be said for ‘inerrantists’ to change their minds for their belief is based on FAITH. Sometime faith and truth are as far apart as East and West. I believe inerrantists are as proud of their faith as Christian Jews were of their laws - so much that Paul had Timothy circumcised. Just as Gentiles were not allowed to enter certain places, non-inerrantists are not allowed to hold SBC offices or be missionaries etc. Would either of you care to explain why an ‘inerrantist’ must be an ‘illusionist’ as explained in The Chicago Statement on Biblical Inerrancy page nine? How did Christians exist for 1900 years without the word ‘inerrancy’? Due to the conflict/confusion/heartache of ‘inerrancy’, I wish the word would go back to where it came from – the SMILING lips of the devil. I will agree that there is a difference, as you put it, between asking, "What does this Scripture mean?" and "Is this rightly part of Scripture?" But how is that difference qualitative? In other words, how is than something other than a difference of degree in how one "questions Scripture"? It is a distinction without a difference. You use the example, "Don't you think there is a difference between questioning what the word of John Fariss means verses questioning the word of John Fariss itself?" My answer to that is: there is very little difference. One leads naturally to the other; if someone cannot understand what the "word of John Fariss means," or if they prefer not to understand what John Fariss says, they are going to immediately begin to question the word of John Fariss. Hopefully, when they do that, my integrity will carry some weight, but the freedom to question John Fariss' word is what brought that into play. When my kids were small, "Because Daddy said so" was a sufficient reason, and they were expected not to question anything beyond that. But as they got older, that became more and more an inadequate answer to them, and rightly so. They began to question "why Daddy said so." Only when they began to question me--to question my word so to speak--did we break through to a whole nother level of parenting, one that led to assurrance. As it turns out, I was not always right--big surprize there--but knowing that even when they questioned "my word," my love remained constant toward them, and that made a positive difference in our relationship. And from at least the time of Calvin and Luther, the freedom to question God's Word has allowed His people to move to a whole nother level of relationship with Him, even while they could remain sure of His love. Could that be related to the security of the believer? I'm not sure, but it is worth considering prayerfully. As Chris points out, without the freedom to question the Word, we would still have Bel and the Dragon as part of our Bibles, not to mention Maccabees, and the long ending to Mark. "I know what I’ve said is ‘water off a duck’s back’ because NOTHING can be said for ‘inerrantists’ to change their minds for their belief is based on FAITH." "As God can use ‘crooked sticks’ to hit straight licks, He has no trouble doing the same with the Bible." You said "Here, the Bible doesn't make sense to me. I just don't know for certain what it says and what it is trying to say to me. But let me tell you the best I can understand, and let's wrestle through this text together." I have mixed thoughts on this. On the one hand, I don't have a problem with a pastor saying he is not certain what a text means, but encourages folks to wrestle with the Scriptures together. On the other hand [and I could be getting too picky with the way you have phrased it], I think we have to be careful with the "it doesn't make sense to me" type of thinking. 1. I understand, therefore I believe. 2. I believe, therefore I understand. The first approach I think is basically saying "the Bible has to make sense to me in order for me to accept it as truth". I think that is pride and if one presses that approach consistently one may end up denying the Trinity [for example]. The second approach [which comes from Augustine I believe] I think is the humble approach. I think it is speaking about having a reverent disposition to believe the Scriptures which leads to understanding. A disposition to believe even when the Scriptures break into the realm of mystery. The first approach, I take to be man setting up his reason [as content, not as a tool] above Scripture so that Scripture must meet the criteria of his reason. And when man does that, then I think the creature is setting Himself over the Creator. Accordingly, I think the first approach is supported by Proverbs 1:7. I think the right approach is to have reverence, not pride towards the Scriptures. I would encourage you to read my last comment to Chris. I think you are making an apples and oranges comparison. "Would you as a father take your children and burn them in hell when they disobeyed you?" Well, a big problem with that kind of thinking is that I am not the *Creator* of my children. However, God is the Creator of those who disobey Him. I think it was Cornelius Van Til who coined the phrase "the Creator/creature distinction". And that is exactly right. That distinction must alway be maintained. The imagery of C.S. Lewis is on target: Man is in the dock, not God. Man is not in any position to question the Creator because man is the creature. That is the finite questioning the infinite. There is one who wants the creature to doubt God's word [Genesis 3:1]. I can just hear him now..."does that really make sense to you, ah, you know that you should not check your brains at the door...if God really said that, then it should be convining to you, after all, God gave you a mind to use, didn't He?...and just look at all the progress of science...surely you don't want to be called a dumb fundamentalist...you're better than that". Anyway, I would encourage you [and Chris] to get Van Til's book "Christian Apologetics" if you have not. I think he is right concerning the affirmation of reason as a tool instead reason as content. we do not interpret Scripture, lest 'our own interpretation' become an idol that we bow to. St. Gregory described Scripture as a river that has enough shallows that a lamb could cross and yet enough depth to submerge an elephant. Scripture is open to all, but we need the guidance of the Holy Spirit when we cross the river. It was St. Jerome and then St. Francis who spoke of the great power of Scripture 'to set the hearts of men aflame' with the love of God. I'm not trying to give you the cold shoulder, but this might be my last comment in this comment stream. I can get into a subject like this and have a hard time concentrating on other things. I committed error! Behold, the finite creature [Benji]!! "Accordingly, I think the first approach is supported by Proverbs 1:7." "Accordingly, I think the *second* approach is supported by Proverbs 1:7." But great points that were good to see anyways. We must always remember that reason is a tool, the Holy Spirit is the lens, and the Bible is the content under prayerful consideration. You said--"How did Christians exist for 1900 years without the word ‘inerrancy’? Due to the conflict/confusion/heartache of ‘inerrancy’, I wish the word would go back to where it came from – the SMILING lips of the devil." Some would think what you said above is out of line. I 100% agree with you. That one word allowed a takeover to take place. The mindset of far too many in the SBC is I will tell you what the scriptures say. I do feel your pain Rex because I like you watched our SBC missionaries be fired from their jobs because they would not sign a sheet of paper. Paul did not tell a white lie. He was speaking using a method to testified of God's work. I was listening to Wade's sermon on love (the first one). He kept mentioning 15 things at one point in the sermon, but only listed a few of them. Was Wade lying? No, he was preaching the truth. You said--"Just as Gentiles were not allowed to enter certain places, non-inerrantists are not allowed to hold SBC offices or be missionaries etc." This was a way to exclude people. What will be used next to exclude people? I can almost assure more will be added to exclude people. Your ‘reasoning’ is almost funny as you said, “Paul did not tell a white lie. He was speaking using a method to testify of God's work”, and to back your statement you used Wade’s preaching. To hear you quoting Wade is a switch…huh? If I said there are 1,000 languages in the world or “15 things” but do not name them all, it’s a FAR stretch to say that’s what Paul did. Some of what Paul said was revealed to him by studying Scripture. Some was when he was alone in the desert while conferring not with flesh and blood. Paul saying all those directions from Jesus happened on the road to Damascus was a white lie…period. Cornelius did not know if Peter was going to tell him to be a Democrat or a Republican. To convince the Christian Pharisees that God provided salvation for Gentiles, WHAT DID PETER TELL THE ANGEL SAID? All Peter had to convince the “sect” was his vision, his preaching, and his seeing the Holy Spirit fall on the Gentiles, but by a white lie, HE HAD AN ANGEL ON HIS SIDE. Maybe, just maybe, that’s why Peter became afraid of this sect and withdrew fellowship from Christian Gentiles (Galatians 2:12) because he knew in the back of his mind he’d told a white lie. BTW, I believe the legalists in Paul’s day screaming for circumcision are about like those today screaming for inerrancy. Rex, I disagree. I see no white lies. I guess that is the difference between me and you. I am not looking for problems with the Bible. I accept it as the inerrant word of God. You can say what you want, believe what you want, and be what you want, but I am convinced you do not know how to interpret Scripture. The Bible is perfect in every way. It is inspired by God, and thus free from error. You can dismiss my statements, but the illustration is clarifies your problem with the Bible. I wonder if I am reading the same material about the down grade as some of the posters. If CHS had gone to the offending parties the only thing he could have questioned them about would have been the matter of immersion. That was the only requirement for being in the BU. It would be like us fellowshipping with Mormons, JW, and United Pentecostals . They all immerse. But there is no common ground in the gospel with them. CHS was dealing with Socianians and Arians as well as others who denied clear doctrines of the faith , who immersed and were part of the BU. He knew who they were by reading or hearing and so did Booth. He was frustrated because there was no common ground for fellowship in the BU except practicing immersion. And the BU was dis-inclined to expand the requirements for membership. So let us say he went in a private rebuke to one of the Arians about denying the deity of Christ. They would have said that belief in the deity of Christ was not a requirement for membership in the BU. If he pursued the plural rebuke, same answer. If he pursued the public rebuke to the BU, same answer. The BU leadership denied there were aryians in the BU. They denied there were heretics in the BU and asked Spurgeon to name them. He refused. I don’t think we’re on the same page. I believe the Bible is mostly (about 99%) like a cam-carder…showing/telling what is said and done. Just because the Bible RECORDS a lie that someone has said, does not mean the Bible lied – but the man lied. (First Samuel 31:3-4) records King Saul killing himself, but (2 Samuel 1:10) records an Amalekite saying he killed Saul. My uncle would argue all day that the Amalekite killed Saul…”The Bible says so…don’t you believe the Bible?" Jeff, if you can’t see the Bible RECORDING a white lie from Paul and Peter, can you see an out and out lie from Moses? The Bible records sins, and still is inerrant. There are problems in the Bible, but no problems with the Bible. The PROBLEM with the Bible is that it does NOT record only truth, but records truth and untruth just like our BFM says “..truth without any MIXTURE OF ERROR”. Both CHS and Booth knew the names, but Booth has sworn CHS to secrecy about letters between them which named names. In a letter to "The Baptist" (unpublished) he mentioned a Unitarian minister who had been permitted to preach at the BU meeting, so there is at least one name available. Do you think I am in error about the remainder of my post? Yes, I believe the same, and I believe the last exclusion will not be signing a paper, but people without ‘666’. I used to think this would be accomplished by a devil’s group like terrorist or something. Looking back in history, the most awful hatred in the world has been religious hatred. So I wouldn’t be surprised if the ‘666’ was accomplished by a ‘religious group’ in the name of God. It looks like the present SBC leaders are off to a good start with their C/R and their BFM 2000. Thanks for your reference of C J Mahaney on Hebrews 13:17. I don’t believe our church would go along with his thinking. Holman, New Living Translation, Contemporary English, New American Standard, and the Living, all have “Obey” for that verse. I’d like to know what you say the Greek word is. Tomorrow we will hear a sermon on Hebrews 13. Suzanne's Bookshelf [Suzanne McCarthy] > Authority in the church. Trust your teachers and follow them. Women In Ministry [Cheryl Schatz] > Pulpit authority scriptural or not?. To persuade, particularly to move or affect by kind words or motives. (I) Act. voice, to persuade. (II) Mid./pass., meaning to let oneself be persuaded, to be persuaded. (A) Generally of any truth. Used in an absolute sense, to be convinced, believe. Denny Burk > Bruce Ware’s Complementarian Reading of Genesis. The above post is supposed to have around 1000+ comments ... but they are being intentionally hidden. And only for this post by Denny Burk. Tonight, in the fray over here at Denny Burk's blog, where the comments have gone over 900, and are heading for 1000, a group of women are staging an internet sit-in to protest the complementarian interpretation of Genesis. We defy categorization. We are women whose lives have been touched by complementarianism. We are not secular feminists infiltrating the bibliosphere. We are former/quasi complementarian women who protest our condition as "created for subordination." Thank you, Bonnie, Molly, Corrie, Gem, Paula, Quixote, Madame, Kathy, Cheryl, Ellen, (on the other side, but also a friend of this blog) We want to buck and chafe against the teaching of eternal subordination. Wouldn't you? The entire sense of the Greek words can be easily seen in the Greek interlinear [Cheryl Schatz]. Hey! I thought we had a good conversation going – where did you go? I believe those believing in ‘inerrancy’ MAY have a tendency to be forced to believe every ‘white hat’ in the Bible MUST talk, walk, act, and behave as if they were God because ‘God wouldn’t let the Bible record anything but truth’. Understand that in the Bible, Paul is my biggest ‘hero’ (besides Jesus). So to prove that Paul did not always tell the truth, I’ll start with Paul’s ‘confession’ of what I would call denying Jesus as Peter had done. Where is Paul’s ‘regret’ in what he said? There is none because they have twisted Paul’s words to fit their own agenda. I’ll bet you and any ‘inerrantists’ will not ‘touch’ the above comment with a ten foot pole. What does Paul's spiritual state have to do with the Bible being true? I have already proven that you have a mistaken understanding of inerrancy. You twisted Paul’s lie into “Paul’s spiritual state”. I could give an example of Paul not telling the truth in (Acts 28:17-19), but what’s the use? Your mind is made up – ‘don’t’ confuse me with the facts’. Interesting that you said, “I have already proven that you have a mistaken understanding of inerrancy”. I don’t remember you’re doing so - would you reference that comment with date, time, etc.? BTW, would you explain why the Chicago Statement on Inerrancy says a person must believe the Bible has “illusions” on page 9? Also, how is anything with “illusions” perfect? Please don’t list me as one that does not have a ‘HIGH’ view of the Bible. I believe my view is higher than yours because one that believes lies are truth has ‘FALSE’ faith and TRUE faith is better than ‘false faith’ any day. I think the road you’re on tries to make ‘God’s ways’ into ‘man’s ways’.